The LW Weekly is now online at www.lwsb.com and features interactive advertising. Engage readers by offering printable coupons, online registration to special events, customer surveys, exclusive offers, promotional videos and more. With digital advertising, you will receive analytics that show how well your ad performed each week – and the interative features can be customized so you can gauge interest and receive feedback directly from your customers! The LW Weekly Online works with the advertisment you place in the weekly newspaper. Readers simply click on your ad to open a new page that displays the content of your choice. Use existing marketing materials such as inserts, fliers, coupons and more. 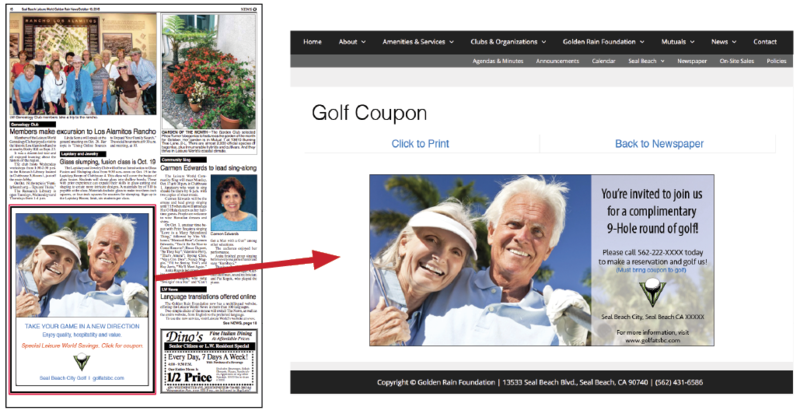 Viewers can print coupons, sign up for events or promotions, watch videos and more. The most important benefit of our digital advertising is the ability to interact with the LW residents first hand.